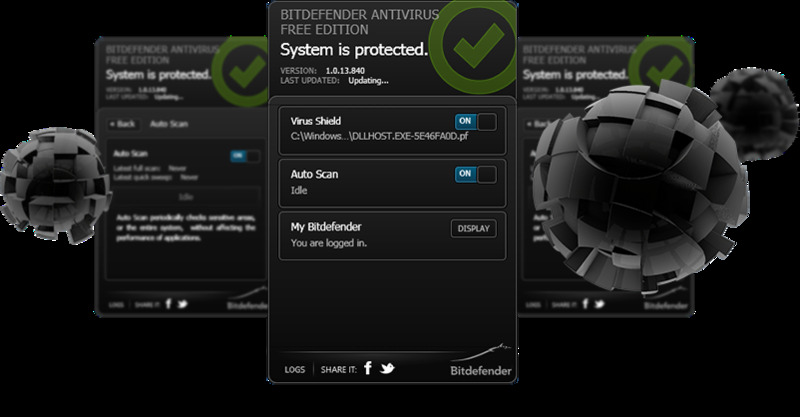 Bitdefender Antivirus Free Edition has been engineered to enable you to enjoy your computer to the max, without having to worry about viruses and other e-threats. We call it "artificial intelligence" because it will always find the best way for your system to stay clear of dangers without requiring special configuring. And, more importantly, without slowing down your system. Bitdefender Antivirus Free Edition shares some of the revolutionary technologies that allowed our main product line to outpass major competitors such as AVG, Avast or Avira.